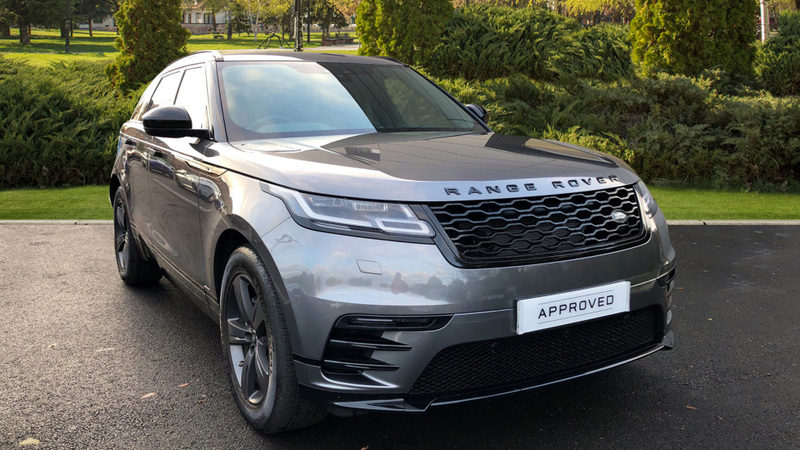 Our Range Rover Velar is finished in Metallic Corris Grey Paint with Ebony Leather Upholstery plus 19 inch Alloy Wheels. 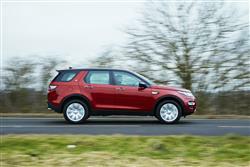 It has been fitted with £1,445 worth of optional equipment including R-Dynamic Black Pack, Privacy Glass and Metallic Paint. Standard specification highlights include Rain Sensing Windscreen Wipers, Electric Windows, Heated Windscreen, Bluetooth, InControl Apps, Lane Departure Warning System, Lane Keep Assist, Powered Tailgate, Driver Condition Monitor, InControl Touch Pro Navigation, DAB Digital Radio, Steering Wheel Mounted Audio Controls, Automatic Headlights, Bright Finish Pedals, Tyre Pressure Monitoring System and Isofix Preparation. 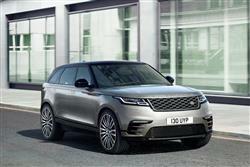 Our Velar is an Approved Used Forecourt Favourite providing you with 2 Years Full Warranty and 2 Years Land Rover Assistance. Our Range Rover Sport is fitted with £3,129 worth of optional equipment including Metallic Paint, Ebony Headlining, Centre Cool Box, Privacy Glass and Soft Close Doors. 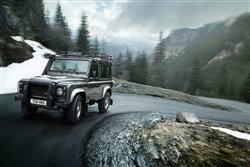 It is finished in Metallic Carpathian Grey Paint with Ebony Leather Upholstery plus 21 inch 5 Split Spoke Alloy Wheels. Standard specification highlights include Tyre Pressure Monitoring System, 10.2 inch Touchscreen, Rear View Camera, Electrically Heated Door Mirrors, Meridian Sound System, Daytime Running Lights, Lane Departure Warning System, Keyless Entry, InControl Apps, Illuminated Side Door Treadplates, Heated Front Windscreen, Heated Front and Rear Seats, Navigation System, Gesture Tailgate, 12 Way Electric Front Seats, Front Fog Lights, Front and Rear Parking Sensors, DAB Digital Radio, Cruise Control, Two Zone Climate Control, Bluetooth, Automatic Headlights, Auto Dimming Rear View Mirror, 8 Speed Automatic Transmission and All Wheel Drive. Our Range Rover Sport is an Approved Used Forecourt Favourite providing you with 2 Years Full Warranty and 2 Years Land Rover Assistance. Our Range Rover Vogue is fitted with £5,850 worth of optional equipment including Upgraded Alloy Wheels, Alston Headlining, Electrically Deployable Tow Bar, 4 Zone Climate Control, Blind Spot Monitoring System, Privacy Glass and Atlas Side Vent Graphics. 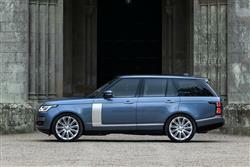 It is finished in Metallic Santorini Black Paint with Leather Upholstery plus 21 inch 10 Spoke Alloy Wheels. Standard specification highlights include Keyless Entry, Split Folding Rear Seats, Isofix Preparation,Tyre Pressure Monitoring System, 12V Power Ports, Cup Holders, Centre Armrest, Automatic Headlights with Auto High Beam Assist, Daytime Running Lights, DAB Digtial Radio, Cd Player, USB Connection, Auto Dimming Rear View Mirror, Navigation System, Powered Tailgate, Lane Departure Warning System, Bluetooth Connectivity, Terrain Response System, Hill Decent Control, Heated Front Windscreen and Rain Sensing Windscreen Wipers. Our Range Rover Vogue is an Approved Used Forecourt Favourite providing you with 2 Years Full Warranty and 2 Years Land Rover Assistance. 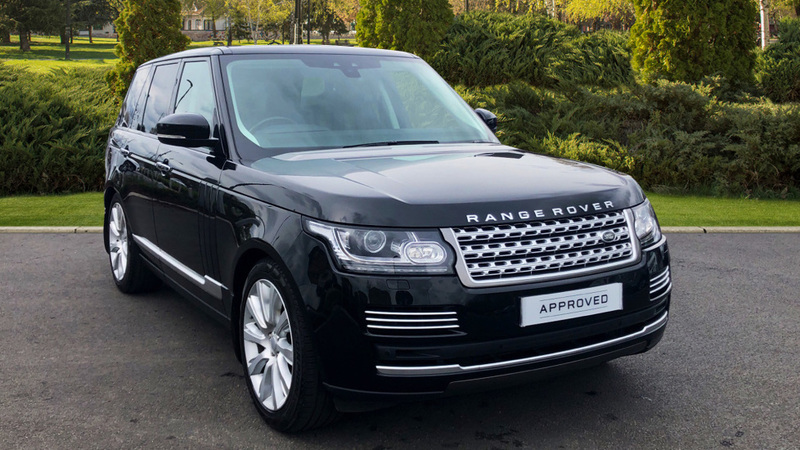 Our Range Rover Vogue is fitted with £2,620 worth of optional equipment including Alston Headlining, Four Zone Climate Control, Privacy Glass, Front Fog Lights, Atlas Side Graphic Vents and Terrain Response 2. It is finished in Metallic Santorini Black Paint with Ebony Leather Upholstery plus 20 inch 5 Split Spoke Alloy Wheels. 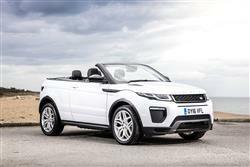 Specification highlights include Rain Sensing Windscreen Wipers, Isofix Preparation, Hill Decent Control, Fixed Panoramic Roof, Automatic Headlights, Tyre Pressure Monitoring System, 10 inch Touchscreen, Lane Departure Warning System, Keyless Entry, Heated Front Windscreen, Powered Gesture Tailgate, Adaptive Dynamics, Xenon Headlights with LED Daytime Running Lights, Front and Rear Parking Sensors, Navigation System, Meridian Sound System, In Control Apps, Heated Steering Wheel, Front Centre Console Cool Box, DAB Digital Radio, Cruise Control, Auto Dimming Rear View Mirror and 8 Speed Automatic Transmission. 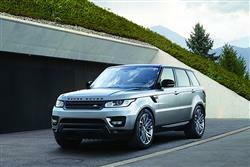 Our Range Rover Vogue is an Approved Used Forecourt Favourite providing you with 2 Years Full Warranty and 2 Years Land Rover Assistance. 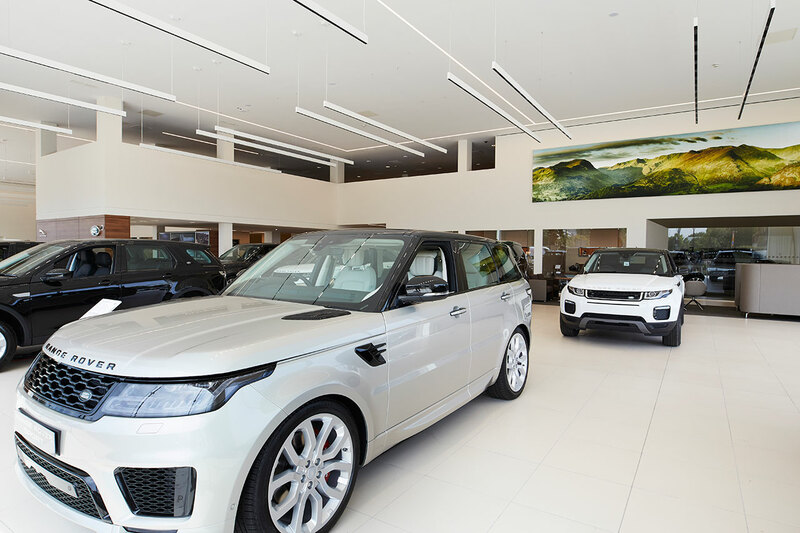 Our Range Rover Sport is fitted with £3,510 worth of optional equipment including Stealth Pack, Privacy Glass, Heated Steering Wheel and Automatic Headlights with High Beam Assist. It is finished in Metallic Santorini Black Paint with Ebony Leather Upholstery plus 21 inch 5 Split Spoke Alloy Wheels. 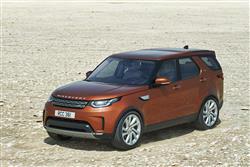 Specification highlights include Rain Sensing Windscreen Wipers, Hill Decent Control, Xenon Headlights, Tyre Pressure Monitoring System, Front and Rear Parking Sensors, 10 inch Touchscreen, Lane Departure Warning System, Keyless Entry, In Control Apps, Heated Front Windscreen, Powered Tailgate, Front Fog Lights, Two Zone Climate Control, Bluetooth Connectivity, Split Folding Rear Seats, Meridian Sound System, Heated Steering Wheel, Heated Front and Rear Seats, Navigation System, DAB Digital Radio, Cruise Control, Auto Dimming Rear View Mirror, 8 Speed Automatic Transmission, Terrain Response System, Adaptive Dynamics and 16 Way Electric Front Seats. Our Range Rover Sport is an Approved Used Forecourt Favourite providing you with 2 Years Full Warranty and 2 Years Land Rover Assistance. From M4, leave at Junction 15, head towards Dorcan on the A419. After 2.36 miles, take the slip road and at the roundabout take 2nd exit. Next roundabout 1st exit A4312, next major roundabout (Greenbridge) bear left and we are on the left hand side. The bus stops on Dorcan Way, immediately adjacent to the site, providing access to routes 1, 1A and 23. The bus stops on Dorcan Way, approximately 300m to the west, providing access to routes 64 and 66. All the bus stops have a shelter and seating. Swindon railway station is located approximately 2.5 km to the west on bus routes 1, 1A and 66. Swindon station is served by Great Western Railway via two routes: London Paddington to Bristol/South Wales and the route between London Paddington and Cheltenham Spa. Special thanks to Dave Southby. Exceptional service from my first phone call to collection. Tasmin from Swindon is great. Huge thanks for the swift and easy sale and after care service. 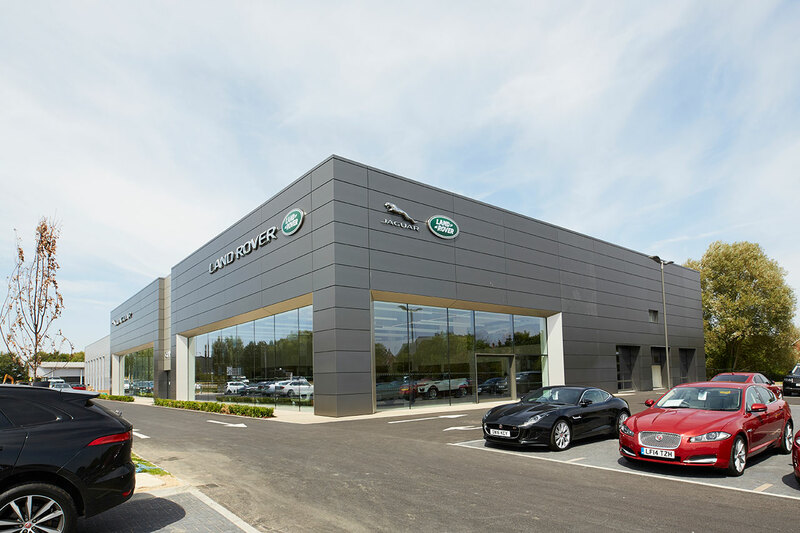 Discover your dream 4x4 in the luxurious collection of vehicles at your local Grange Land Rover Swindon dealership. 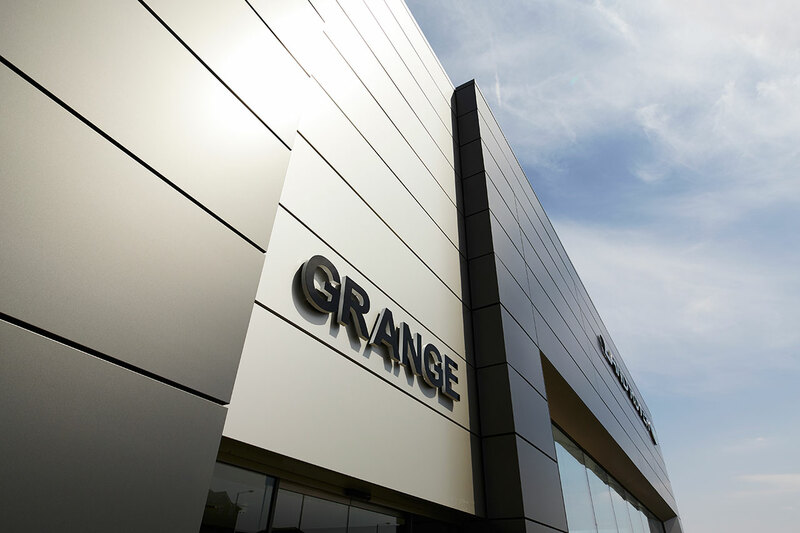 As a Land Rover specialist, you won't be disappointed with the selection that the Grange Land Rover Swindon dealership has to offer. 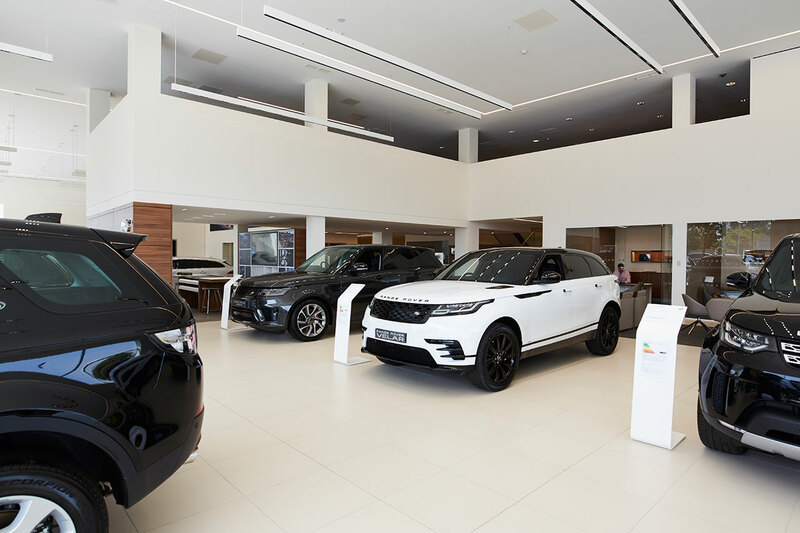 You'll find everything from the powerful yet stylish all-new Range Rover Sport and new Land Rover Velar to the road-dominating new and used Range Rover Evoque. 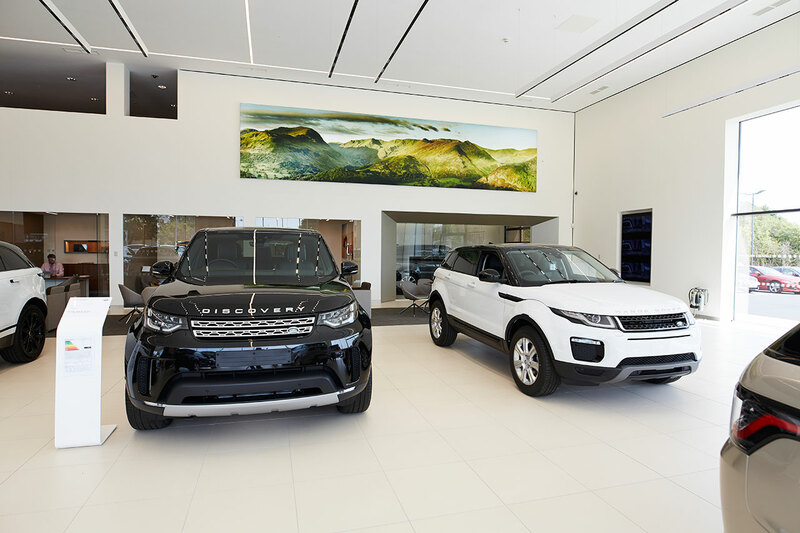 Also included in the line-up is the ever-popular new Land Rover Discovery, which offers an exhilarating driving experience and timeless design. 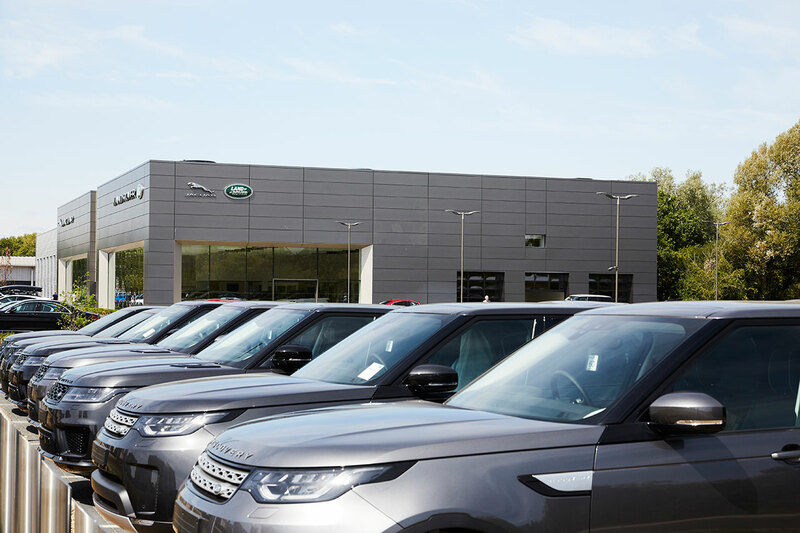 Take a look at all of the used and new Land Rover vehicles we have in stock at our Land Rover Swindon dealership, and contact the team to make an enquiry. 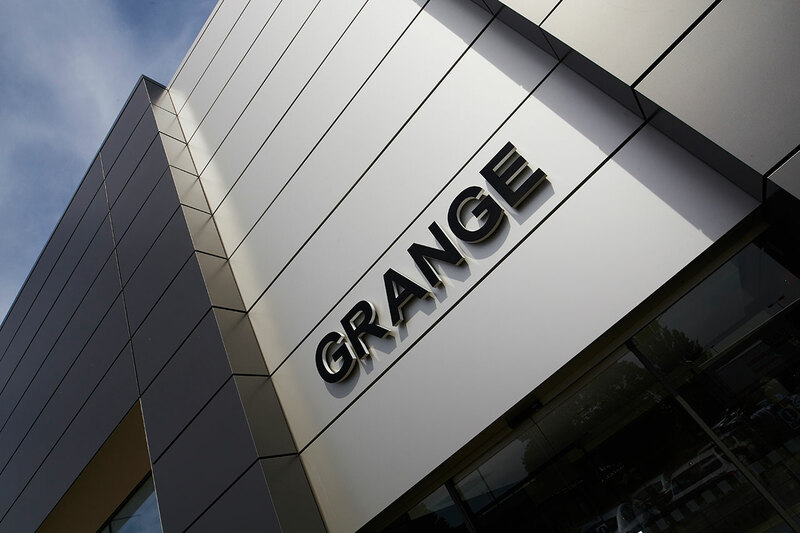 You can find us at: Grange Land Rover Swindon, Coped Hall, Royal Wootton Bassett, Swindon, Wiltshire, SN4 8EP.